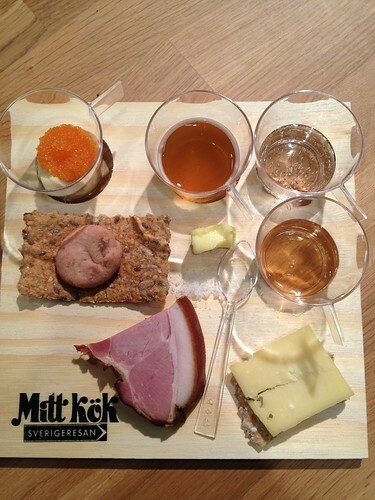 I spent a few hours yesterday at the annual food fair in Stockholm, currenty named "Mitt Kök", which means "My Kitchen". An apt name would have been "My Bar", because there were SO many wine and alcohol producers... Oh well, I suppose that's what people want, since the fair gets more and more of those each year. There was some food though, and I took some photos to tell you about the most interesting things I encountered! 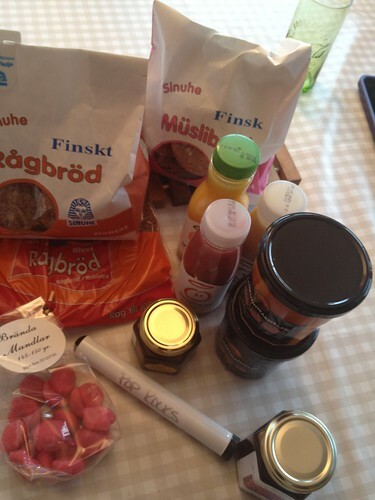 Food from all over Sweden - the best was the ham, which was from Domta Gård. Worst was probably the Swedish wine, made from the grape "Solaris". And salt, produced in Sweden - really, salt is salt, and it tastes just like... salt. The aged cheese from Sivans Ost was delicious, as well as the Kalix löjrom. I've tried Kettle Chips before, but I usually stick to "lightly salted" and that's it. However, I really liked Sea Salt and Balsamic Vinegar. Nice! 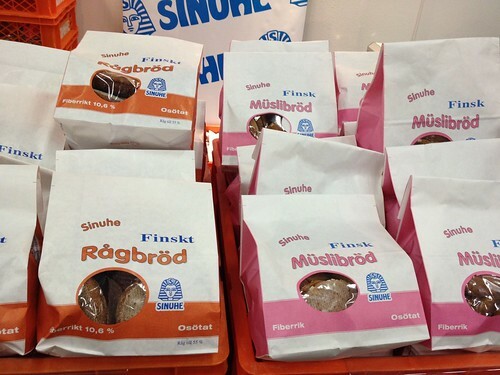 This Finnish rye bread by Sinuhe was so tasty! The pink bag has muesli mixed in, so it's really nice in texture - seeds, apples and almonds make it more interesting. I think it'll be great toasted. 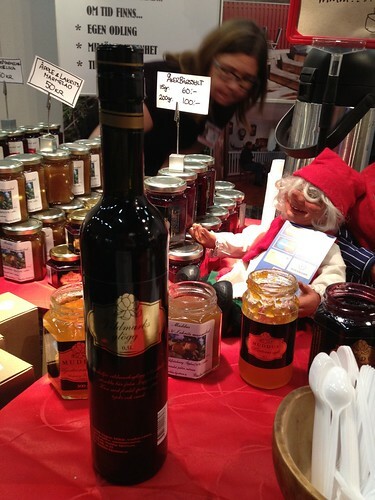 Glögg from Muddus, a producer way up in Northern Sweden. This one tasted of lingonberries and blueberries - delicious and not too sweet. 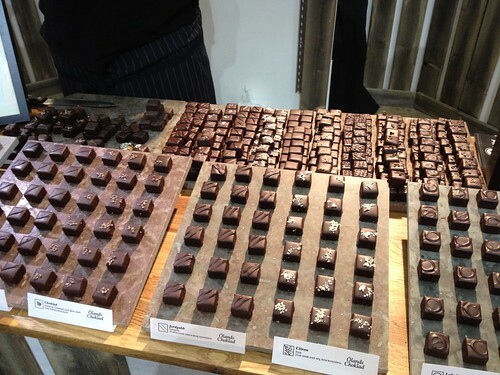 Handmade chocolate from Ölandschoklad - they had one piece, with a chewy lemon caramel covered in chocolate that was to die for. 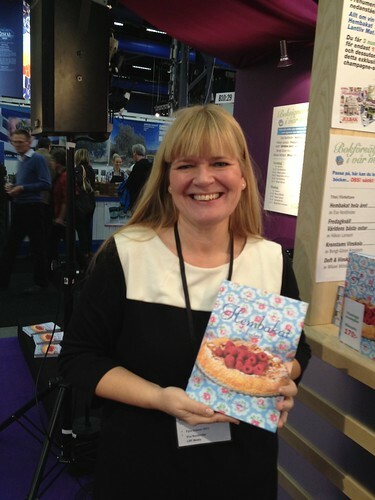 Eva Nordlinder, editor of the magazine Hembakat, with her new book with the same name! I looked through it and it looks great - perfect gift for someone who enjoys baking! 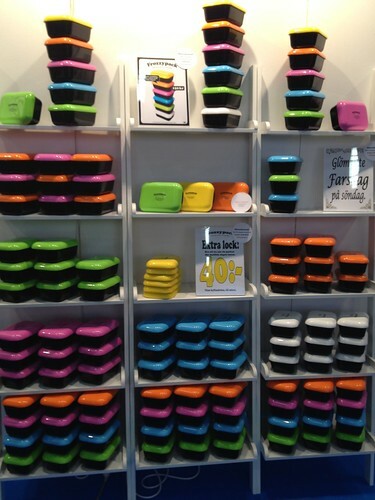 Frozzypack is a really cool Swedish invention! It's a lunch box, but the lid is really an ice pack. Stick it in the freeze, and it'll keep your food fresh and cool for hours. 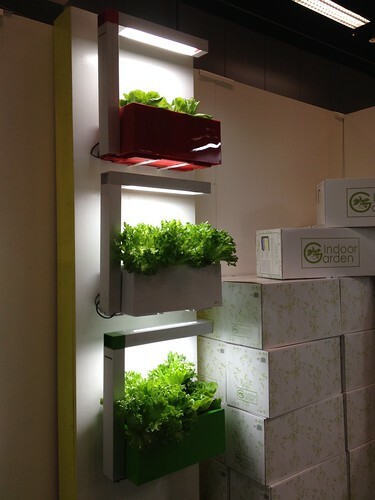 Another really interesting invention is the Herb:ie from Indoor Garden. I really would love one of these - it's a special sort of pot with built in light to grow our own herbs or salad all year round. My only hesitation is that it takes up space, but it'd be nice to keep in a window. Thanks for the peak, feels like I've been there now too. Surreal for me to see Kettle Chips there though, such a supermarket staple for me. 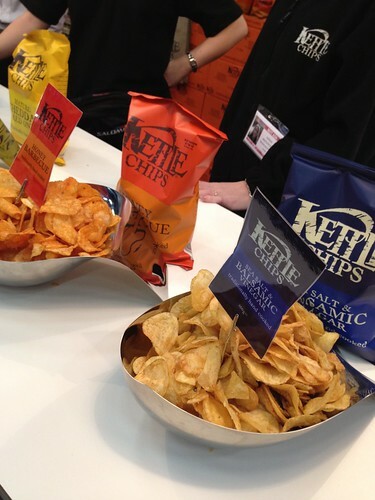 But their crisps are quite good, especially their new range of Kettle Ridge crisps, which are a bit crispier. Vilka bra tips! Om allt går som det ska besöker jag mässan imorgon. Muddus har flyttat och har nu sin produktion i södra Dalarna (utanför Avesta). Jättemysigt fik, åtminstone sommartid, och butik. Bra utflytksmål som kan kombineras med andra saker i närheten. Åh, bra att veta! Vi passerar Avesta på väg till vår stuga i Dalarna, ska helt klart planera in ett besök på Muddus nästa år!